That’s how it all started and I had no clue that years later she’d be the dynamo she’s become. Teia played recreational volleyball for four years (averaging about two seasons per year), then moved to a developmental club two years ago. The past three years she’s played for her middle school team and just finished her first high school season where she started on the junior varsity team, but ended on the varsity squad. 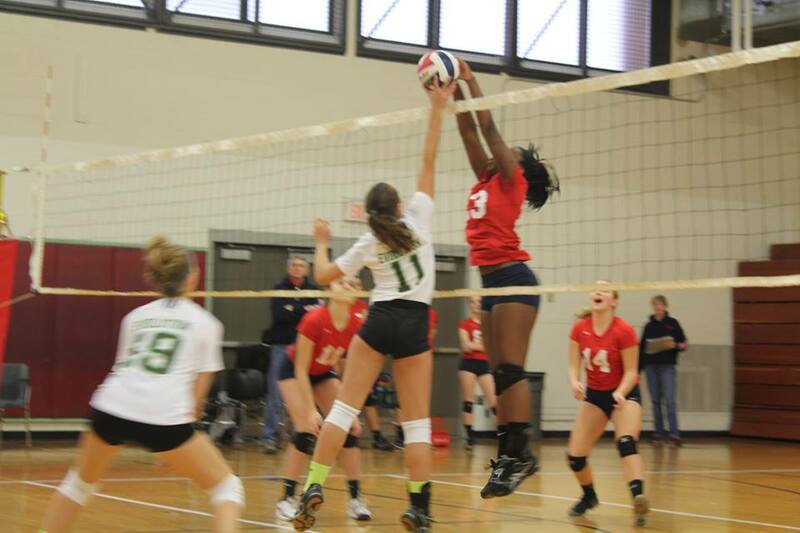 This winter marked her move to an open travel volleyball team (after playing on a regional team last year based in the Northern Virginia area). She’s also participated in several clinics associated with volleyball clubs, high schools and colleges. Now, let me be truthful, my daughter has something, but she also has a LOT to learn about various techniques and about the sport, in general. But the past three years have been filled with coaches whispering that she has a lot of potential. She’s always been among the best on her team, but she was looking for a challenge this year. I agreed if she kept her grades up, I’d support her as much as I could. The past two years, Teia has tried out for several clubs; all making her offers to play for them – one of which is consider one of the premier clubs in this region. We are all very proud of her. 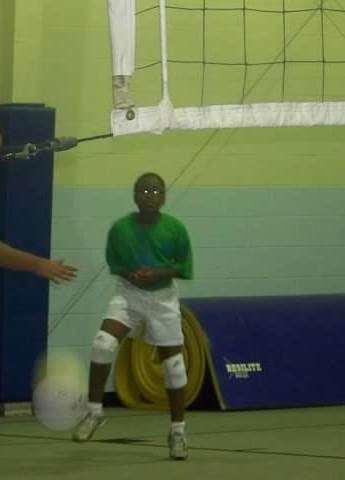 I’m not sure why there aren’t more black girls playing volleyball at the travel level, but money could be a big factor. I’ll write a separate post about that, but it definitely is an investment both in money and time. So this website, our blog posts (yes, that will be a family affair as well) and the information we provide, hopefully will encourage more girls who look like my daughter to consider playing – and excelling – in this exciting, exhilarating sport. Next Post Go for everything and have fun!